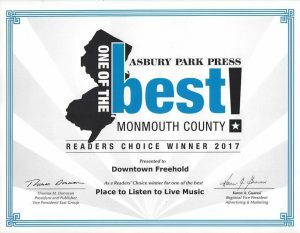 There’s always something going on in Downtown Freehold, especially during Summer 2018! 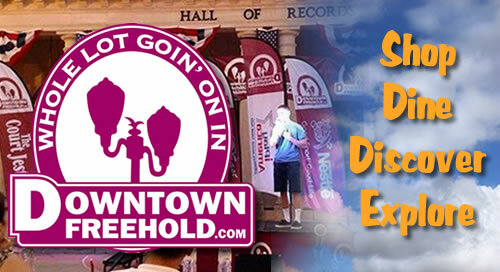 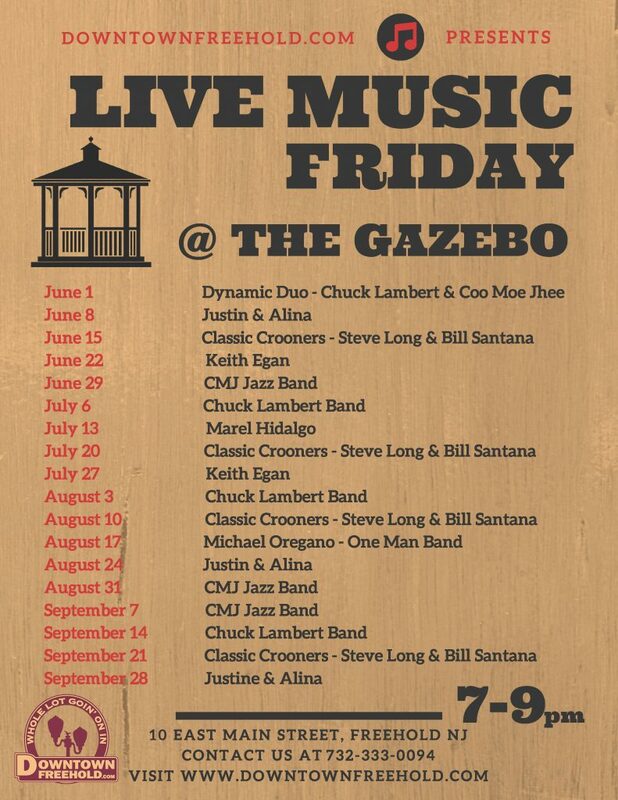 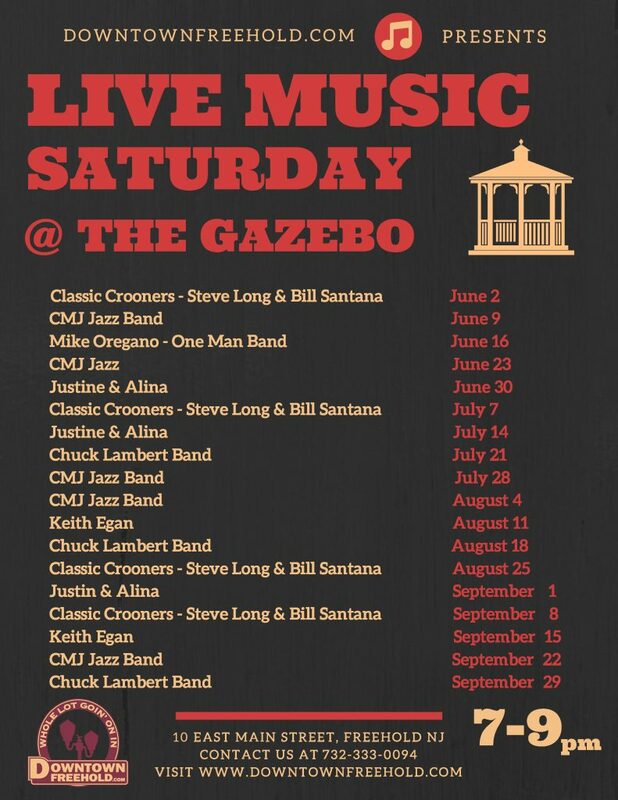 Live Street Music Performances every Friday and Saturday Night at The DowntownFreehold.com Gazebo (10 East Main Street), and Sunday Too! 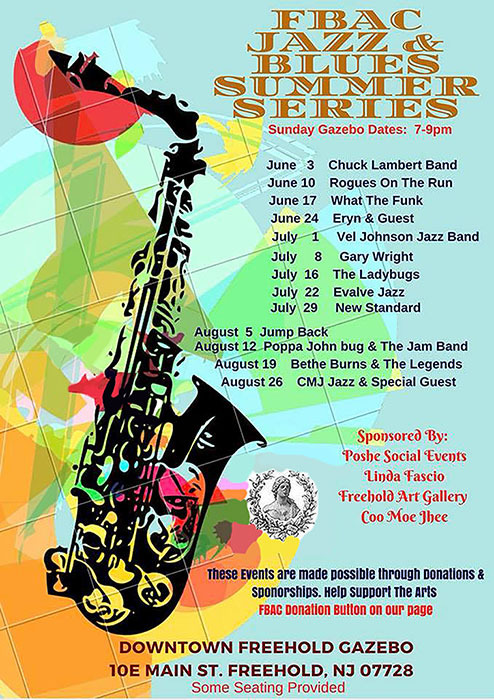 Thanks to the Freehold Borough Arts Council, who proudly present the 2018 FBAC Jazz & Blues Summer Series. 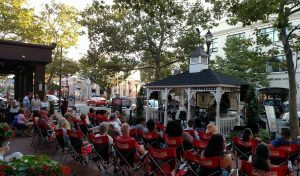 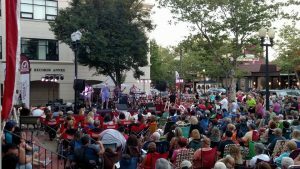 Downtown Freehold is filled with amazing Live Music Performances ALL SUMMER LONG!